Life passes like a spring dream without a trace. 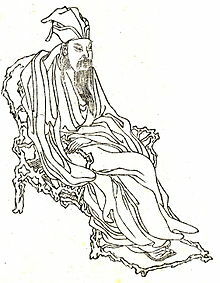 Su Shi (苏轼; 8 January 1037 – 24 August 1101), also known as Su Dongpo, was a Chinese writer, poet, painter, calligrapher, pharmacologist, gastronome, and a statesman of the Song dynasty. The dimming hills give a rare view in rainy haze. Whether she is richly adorned or plainly dressed. For ten long years the living of the dead knows nought. Could the dead be forgot? Life is like a spring dream which vanishes without a trace. There had to be one Su Tungpo, but there could not be two. The mention of Su Tungpo always elicits an affectionate and warm admiring smile in China. This page was last edited on 29 December 2018, at 13:50.